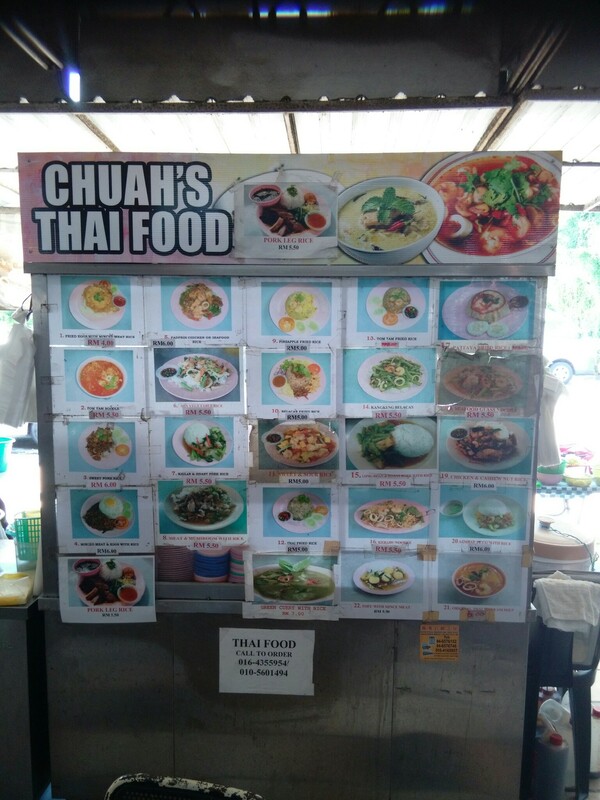 Chuah’s Thai Food. Doesn’t this look absolutely amazing? It is. I’m here most days for lunch, which typically costs 6rm (or about $1.50). Yeah, what’s not to love. I’ll outline my five favorite dishes just for the heck of it. 5. Sweet Pork – When you aren’t feeling spicy, this sweet pork with a dark, flavorful sauce is terrific. 4. Green Curry – Soupy based green curry with chicken, beans, chilies, is SO flavorful that you will scoop up every last drop. 2 Minced Meat w/Egg – we are turning up the heat on this one. The spiciest dish on the menu if you DARE eat all of the tiny chopped bird’s eye chilies which are added to this minced pork, oyster sauce, and incredible Thai basil. Add a fried egg, put over rice, and, oh my, let your taste buds explode. You will need a drink handy. 1 Padprik Chicken – The top of the heap in flavor and lusciousness! Chicken, red onion, chilies, and Thai basil are the four ingredients. 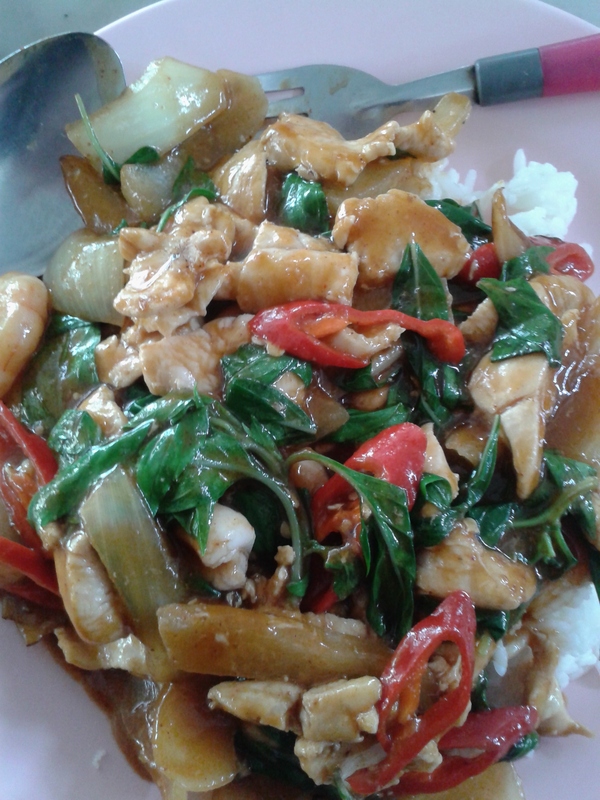 Cooked with an amazing sauce which includes Tom Yum paste, oyster sauce, fish sauce, and chicken broth. Honorable Mention: Cashew Chicken – she cooks it with the same padprik chicken base without the basil or peppers – served with green onions and cashews – tasty! Whenever I do leave Penang, I will miss this place incredibly. I’m afraid to tell you where it is, because it might get even more crowded than usual. And hey, I don’t like to wait for my food. But okay, it’s in Tanjung Bungah, Permai, opposite Tenby School. This entry was posted in Penang and tagged accolades for penang, best restaurant in penang, life in Malaysia, lucky 99, Penang food, thai food by sassevn. Bookmark the permalink.